When it comes to keeping your commercial or public premises clean and tidy, you need a professional and reliable outdoor cleaning contractor to get the job done. 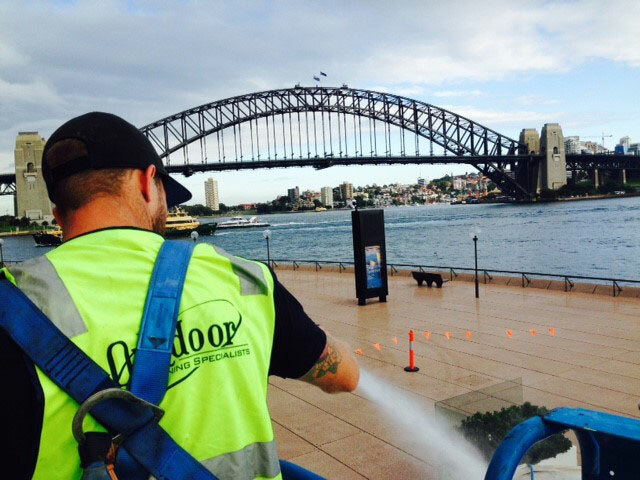 With extensive experience in providing commercial outdoor cleaning services to both public and private organisations throughout Sydney, Outdoor Cleaning Specialists have got you covered. We clean buildings, factories, warehouses, shopping centres, car parks, monuments, signage, public amenities, playgrounds, shade sail structures, public pathways, and more. What’s more, we’re covered with public liability insurance and workers compensation, and fully compliant with the relevant OH&S guidelines. Need commercial outdoor cleaning services for your premises?